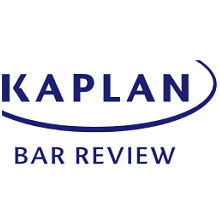 Kaplan Bar Exam Review – Save up to $700 OFF! Save up to $700 on the Kaplan Complete Bar Review Course Today! So, you’re going to take the Bar– you’ve got the tough part out of the way. Now, you need to decide how you’re going to prepare and how much you’re willing to spend. It’s not always easy to identify the best courses, as you need to know exactly what each prep tool offers before making a purchasing decision. Before signing up for any review courses, examine the available features and make sure it has exactly what you need. If you require mobility, look for a course that has mobile-device enabled study tools. Trying to find an advanced online dashboard? Don’t choose a course that has an interface that is reminiscent of the early days of the Internet. So, now you know exactly what you need in your review course. You’ve found the ideal structure, the perfect prep tools, and you’re ready to make a purchase. Before you do, however, take a look at available promo codes and discounts. Don’t miss out on great deals just because you’re antsy and want to dive right in. Paying full price for any online service is a thing of the past, so don’t make that mistake. Even just a minor discount is going to make all the difference! Why spend a fortune on Bar prep when you can enter in an Adapti Bar coupon code and get $30 off of all of the company’s products. Prefer a different course? Use the Kaplan Bar discounts and get $400 off live online products from the reputable review company that gives you amazing options and the best-in-the-industry support.